Bots: Be careful who you’re talking to online, they might not actually be a real person. These software applications are designed to complete certain tasks and often mimic human interactions. Chatbots will increasingly be used for customer service and other similar functions, although they can also be used to fake human presences online. Human-Machine Interfaces: You will be assimilated. Advances in interfaces between humans, other mammals and machines have allowed researchers, such as those at the University of Washington, to transmit electrical commands from one person’s brain to another. Other interfaces include a suit designed at Duke University which allowed a paraplegic to regain motion. Natural Language Generation (NLG): Why expand your understanding of language when language can adapt to you? NLG is a processing task that adapts content to certain reading levels and can also be used to generate content, such as by translating data into readable text. Virtual Reality (VR): Reminiscent of Star Trek‘s holodecks, virtual reality is becoming increasingly popular and practical. Although currently limited to visual displays, this new form of media may soon become more realistic as methods of shooting and rendering VR video are improved. Drones: It’s a bird, it’s a plane, it’s a… drone? 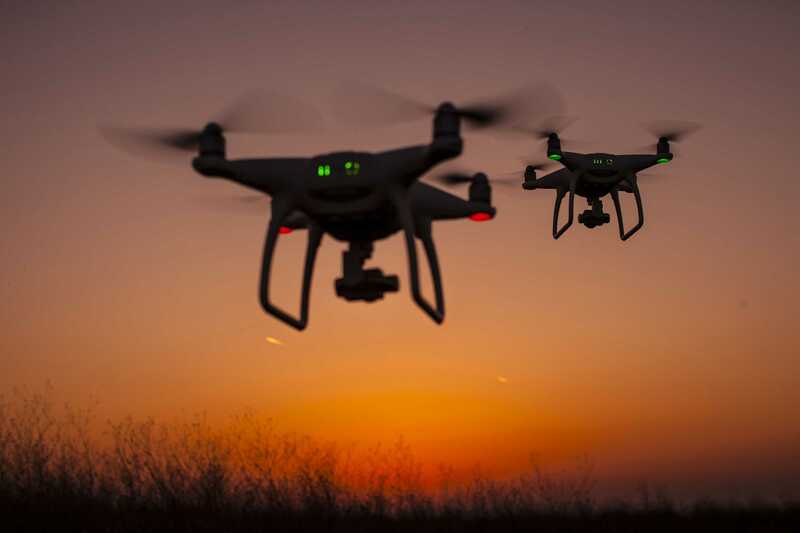 As drones become smaller and more discreet, they may increasingly be used for patrol efforts, such as monitoring masses of people or even individual citizens. Still, there have been questions over their legality in relation to privacy laws. Maybe they’re not so super, after all? Smart Mirrors: You’ll no longer need to take your best friend or mother along shopping to tell you if an outfit really isn’t for you, as fitting room mirrors may soon become ‘digital associates’ to help judge your clothing choices. This may range from offering color options to suggesting accessories, such as those found conveniently by the check-out counter. Wearables for Pets: You have a Smartwatch, why shouldn’t your dog? WonderWoof can help you judge whether your pet is living a healthy and active life by sending records of his or her steps right to your phone, while products offered by Trackimo and Verve Retrieve can help you locate your lost pet via GPS. 5G: Get rid of that new 4G phone you just bought, you need something better. This fifth generation of wireless technology will provide faster connections and allow for such new content as 3D video and VR to be downloaded. This new upgrade will enable other technologies, such as driverless cars and smart cities to communicate. Smart Virtual Personal Assistants: Siri and Alexa will soon have help. Development of these assistants is moving towards becoming more adaptive to their owner’s habits, personal preferences and more. They’ve also been outfitted to connect to various household objects such as thermostats and fridges. Artificial Intelligence (AI) in Hiring: What happens on the internet does not stay on the internet. AI systems are being developed to roam through potential employees’ social media and other digital content to provide objective analyses of talent and personality. However, social media has already been used as a factor in hiring for some businesses, so cleaning out your Facebook might be a good idea. Advancements and technologies sourced from the Future Today Institute’s 2017 Tech Trends Report.